Mupperty on a huge minty level. Out Now! 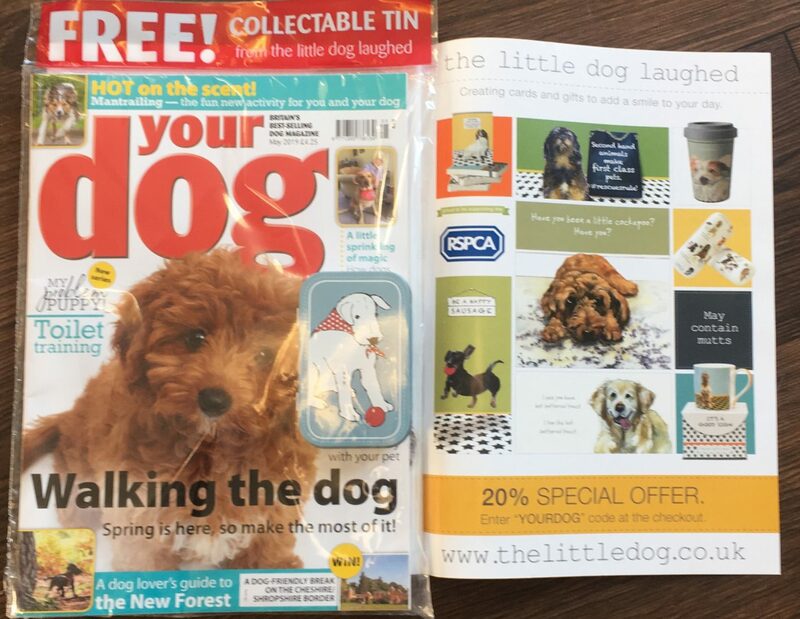 This month’s Your Dog magazine has a fabulous collectable mint tin giveaway with lots of different designs to collect. And behind this great giveaway is a story of complete and utter muppertry! 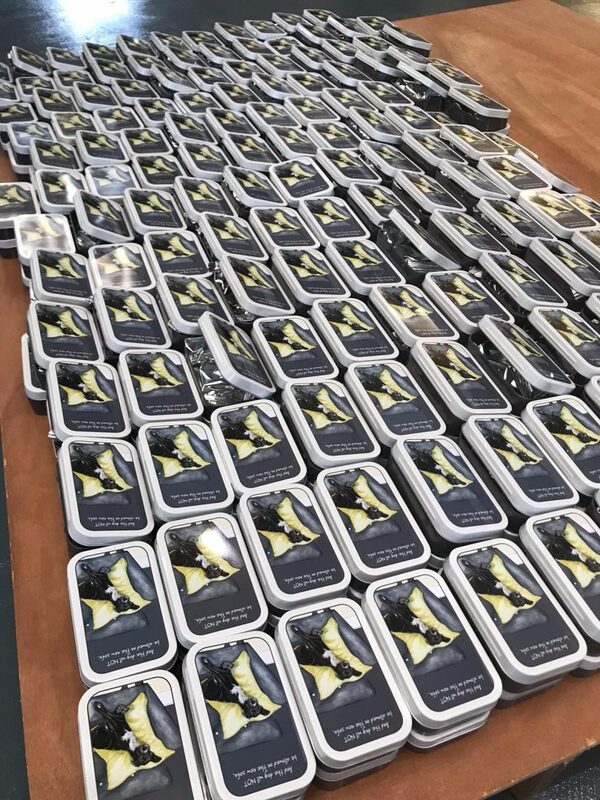 4500 mint tins were individually packed and delivered early to the magazine collating company. High five, job done, smiles all round. Aren’t we ace? Well, apparently not. Turns out someone (me) used a random discount code word for the special offer insert card that was placed in every tin. Unfortunately, this code may just have been the name of a completely different canine magazine which has since been banished from memory. The only thankful news was the error was spotted before the publication deadline. Which meant Nathan (my little brother) could leave home at 5am, drive to Lincoln, collect 4500 mint tins and return to Derby by lunchtime. 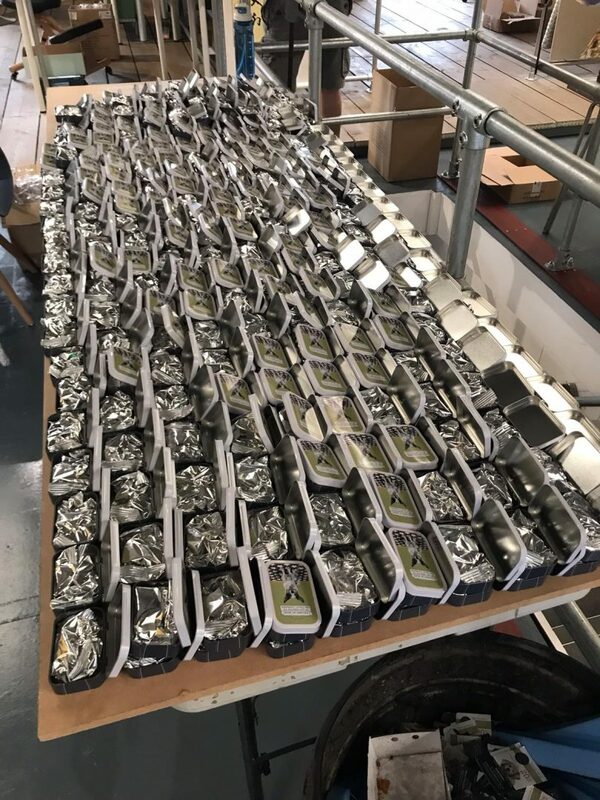 Which meant the team had plenty of time to open 64 boxes and take out each mint tin from its cellophane bag, remove the sealed mints and using a bent paperclip, flick out the offending offer card. Exactly the kind of task you want to do a Friday AND not at all demoralising to undo your original work. 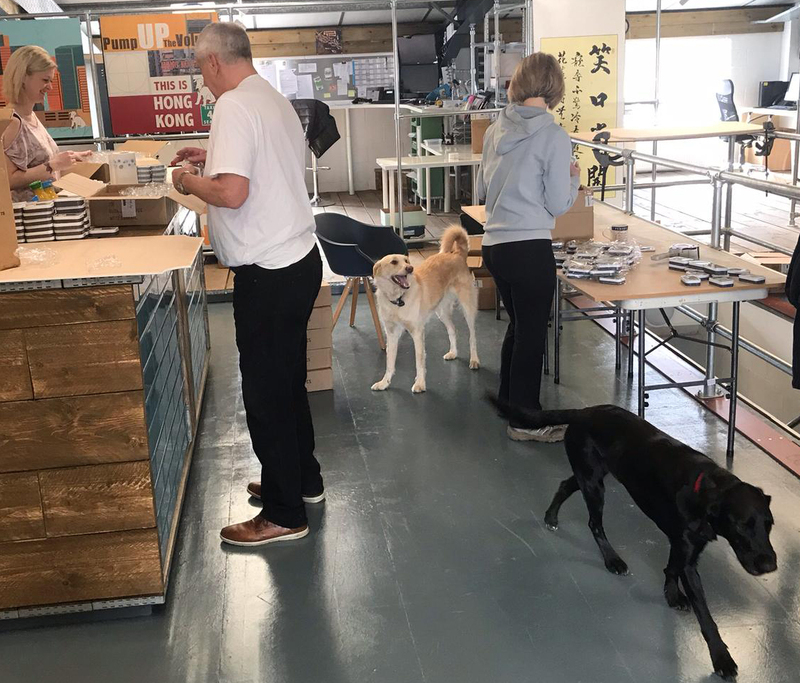 Make shift tables were created which covered all areas of the new open plan office space. The SOS call for help went out and our pleas were thankfully answered. Turns out lots of kind souls were willing to give up their Saturday to repack said 4500 mint tins. And the furries were only too happy to lend a not helpful, distracting paw! 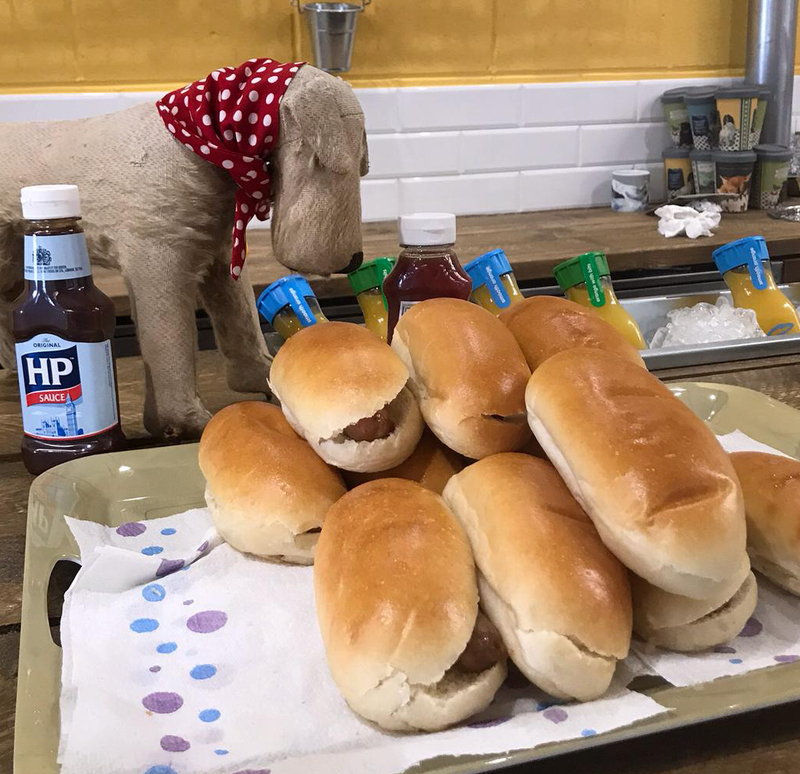 But even with a Birds the Bakery breakfast sausage cob provided, this was still a big ask. Amazingly, the job was repacked, done and sealed by 2pm. A conservative 36hrs for one packer, made light work by an amazing team of eleven. Team Little Dog, family and friends YOU GUYS ROCK! P.s For anyone looking for cheap and affordable team building inspiration, we are more than able to provide a weekly debacle if you are willing to travel. Have a jolly weekend folks! Wow that’s great that so many people volunteered to help. Well done all of you. I am unfortunately a loyal subscriber so never received one. Should have been put in all mags.